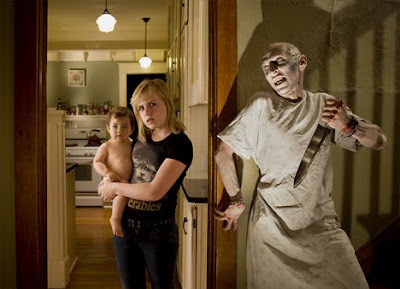 Joshua Hoffine is an amazing photographer who specializes in horror art. 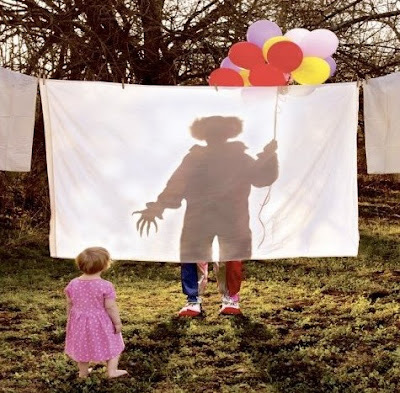 His images are disturbing and many prominently feature childhood fears, like the boogeyman under the bed, clowns, witches and so on. 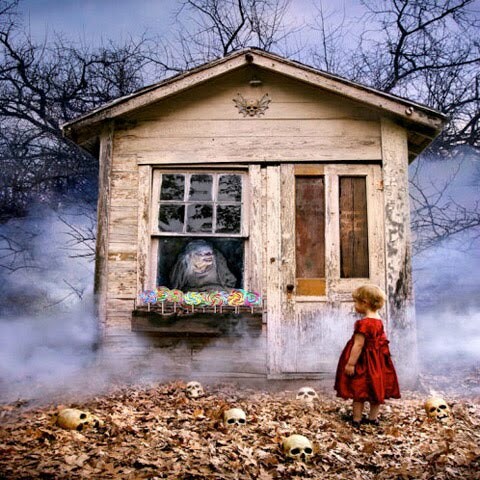 Hoffine also draws on fairy tales to create his dark art. His artwork is absolutely stunning and by now you've probably seen plenty of examples of his work. However, in the spirit of Halloween, I though I would revisit Hoffine's eerie artwork and post a few of his spooky photos for your enjoyment! Check out Joshua Hoffine's Official Site and/or Blog for more info! Ugh, that Lady Bathory really freaks me out. these are amazing, thanks for bringing him to my attention. i especially love basement and balloons. seen his stuff before. absolutely amazing. i love the keyhole one the best! 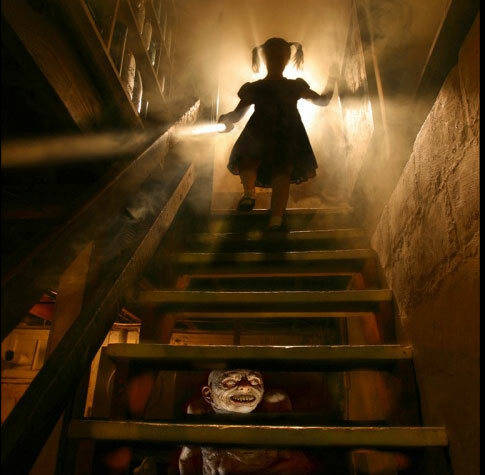 OMG, "Basement" is SO what I picture every time I go down the basement stairs.